Hi Friends!Put away the other choices and serve breakfast to the whole family with this simple, tasty and healthy pancake recipe. Wash, peel, core, and cut the apples into tiny pieces. keep aside. Put in a heavy bottom pan apple pieces sugar with water and kishmish / raisins and ground walnuts. Cook on low heat gently, add cinnamon cook until apples are soft. Spread on the pancakes & roll up. Serve hot. Sieve All purpose flour / Maida, baking powder, and salt in a mixing bowl. Add milk gradually to the flour mixture, add sugar and make a smooth batter( If any lumps occur, mix well). Heat a little cooking medium in a heavy bottom non stick frying pan & spread the cooking medium all over the pan. Pour a little batter mixture into the pan; spread it evenly in a circular movement with a small ladle . Cook for two three minutes until set. Free the edges of pancake with the spatula & turn over. Cook the pancake on both sides. After half a minute or so turn the pancake on to a plate. Spread cooked apple raisins on the pancake, roll up. Serve with custard or honey. Preventing dementia-Including apples in your daily diet may protect neuron cells against oxidative stress-induced neurotoxicity and may play an important role in reducing the risk of neurodegenerative disorders such as Alzheimer’s disease. 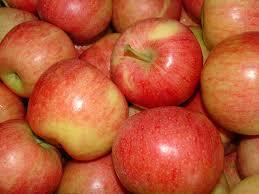 Reducing your risk of diabetes-Apples could also help lower your risk of diabetes.